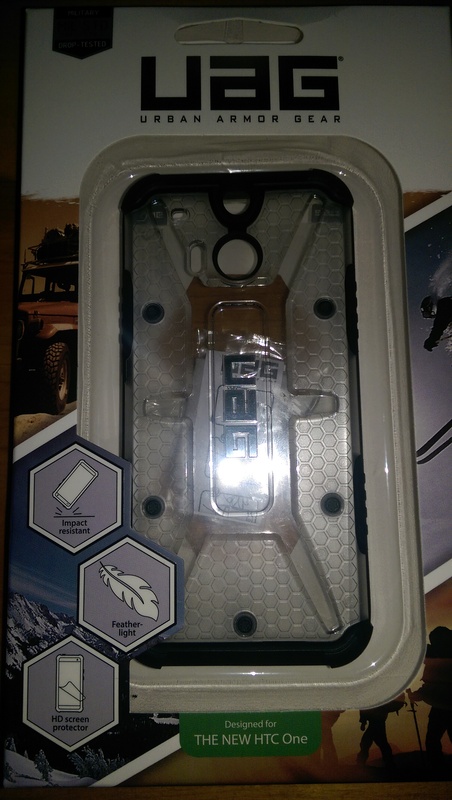 Urban Armor Gear Maverick case for the HTC M8 Giveaway! Do you have the HTC M8? Perhaps you’re looking to buy the M8. Maybe someone will be giving you the greatest Father’s Day gift ever?! If you’re the kind who likes cases, we have a giveaway for you! Up for grabs is the Urban Armor Gear Maverick case for the HTC M8. This is the clear backed version of the protector. Included is the screen protector, application materials and retail packaging. This was my review unit, so it was (sort of, see review!) lightly used, but in great condition. Read the full review here. That way you know what you’re getting yourself into. If you’re anything like me, you’ll enjoy using this as your daily case. This giveaway is open to everyone worldwide. Not just US or EU. We will ship it to the middle of the ocean if need be! If you win it you get it. Entry is pretty simple, and we’re giving you three ways to win. Follow @landofdroid on Twitter and retweet the original tweet of this post. Follow Land of Droid on Google+ and reshare the original post for this article. Lastly, join our Google+ community and post something useful with the hashtag #uaggiveaway. That’s all there is. The winner will be announced seven days from now (that’s a week for those counting). The party receiving the case will be selected randomly and notified. If within 24 hours (one day) from notification the winner does not respond, we’ll pick somebody else. That’s it! Pretty simple, eh? Please be sure to read the review to ensure this is a prize you want. It never hurts to follow our team on social networks, as sometimes we hint of things to come! You can find our contact info here.